If you found this video useful and you’d like to say thanks you can click here to make a contribution. Thanks for watching our videos! This video explains how to use the Asc and Chr functions in VBA. You can download any files that you need to follow the video here. You can view the video in full screen mode as shown on the left, using the icon at the bottom right of the frame. 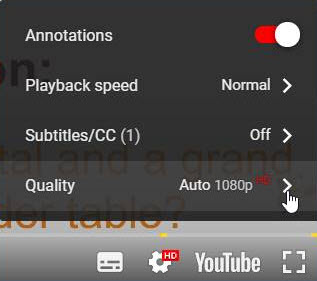 You can improve the resolution of the video using another icon at the bottom right of the frame. This will slow down the connection speed, but increase the display and sound quality. This icon only becomes visible when you start playing the video. Finally, if nothing happens when you play the video, check that you're not using IE in compatibility view.